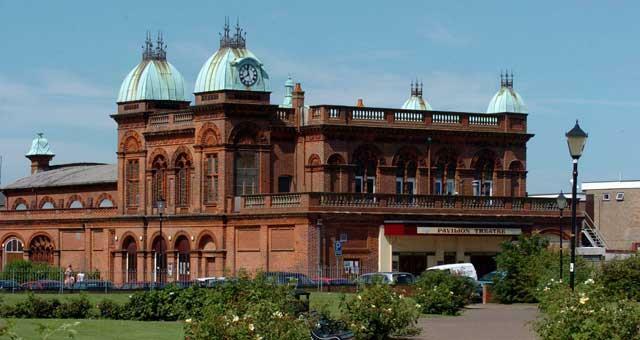 Group Visits at Gorleston Pavilion Theatre01493 662832work Group VisitsGorleston Pavillion, Gorleston, near Great Yarmouth, is pleased to welcome visiting groups and provides a range of group friendly rates/incentives to enhance your visit. Opened in the summer of 1901, the Pavilion theatre is an original Edwardian building with a seating capacity of 300. Open all year we offer a wide selection of plays, pantomimes, musicals and concerts as well as the ever popular Summer season comedy show. Group discounts available. Please contact directly for details as prices vary according to show/performance & size of group. Gorleston Pavillion, Gorleston, near Great Yarmouth, is pleased to welcome visiting groups and provides a range of group friendly rates/incentives to enhance your visit.